Architectural styles are getting mixed up in home exteriors, but a few trends are emerging. A recent article on Houzz, a home remodeling site, highlights some of the biggest trends in home exteriors, based on the most popular exterior photos uploaded to the site so far this year. An inviting front porch can offer some nostalgia of sitting outside in a rocking chair or a porch swing, gazing upon the neighborhood. 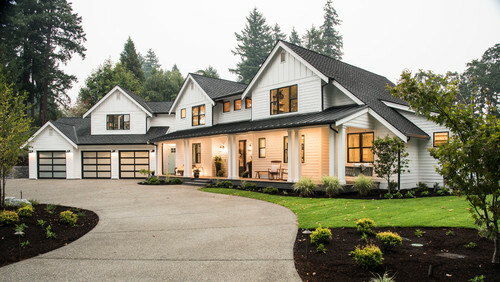 Every one of the most popular front-exterior photos uploaded to Houzz has shown off a front porch, the article notes. 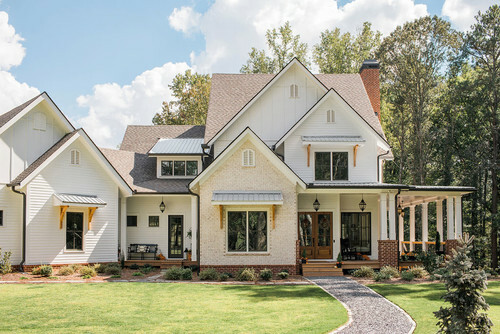 This style blends traditional farmhouse architectural features—such as gabled roof lines, board-and-batten siding, and metal porch roofs—with a modern flair, such as contrasting colors and open floor plans. Garage doors are gaining more prominence in dressing up exteriors. Opaque glass garage doors are enhancing homes, including modern farmhouse styles. When double garage doors take up most of the front of the home, a glass garage door can lighten the clunky look and offer a shiny touch.